Sure, couples are cute. But why not snuggle up with an incredible read instead? Here are 4 contemporary romance authors whose books you’ll fall in love with. Perkins is the author of 3 incredibly popular companion love stories: Anna and the French Kiss, Lola and the Boy Next Door, and Isla and the Happily Ever After. But if you haven’t gotten a chance to pick one of these up yet, ’tis the season! Each of Perkins’ books are perfectly sweet contemporary romances that’ll unlock your inner romantic. And the first one takes place in the city of love! To kick off the companion series, main character Anna finds herself going to a boarding school in Paris as an outsider, but soon learns the way of the land with the help of the charming Etienne who she might just have feelings for. With her YA books Eleanor & Park, Fangirl, and her latest, Carry On, Rainbow Rowell’s novels prove she knows a thing of two about quirky romances. 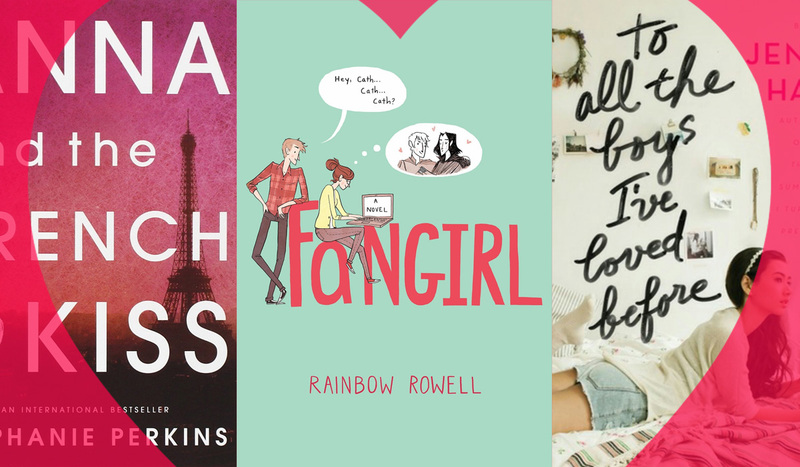 It’s likely you’ve already fallen in love with at least one of her YA contemporaries – but have you read the others? Eleanor and Park’s love story takes place in the 80s, Fangirl‘s character Cath is a college freshman fanfic writer, and Carry On‘s characters go to a magical boarding school. When it comes to Rainbow Rowell, nothing is ever completely ordinary, but the unique ways she brings characters to fall for each other will warm your heart. (See Bookstacked’s review of Fangirl here). When it comes to independent and plentiful contemporary romance novels, Sarah Dessen’s got you covered. With 12 different stand-alones, there’s so many options for which perfect little love story you should pick up. (I highly recommend Just Listen, Saint Anything, and Lock & Key.) A majority of them follow similar premises – a girl-meets-nice-interesting-guy type of thing – but there’s so much more to it. She occasionally makes use of more serious themes to help mix characters up a bit which gives the seemingly basic love stories some pretty insane twists. The great thing about Sarah Dessen? Her beautiful books are timeless. Jenny Han’s duology – To All The Boys I’ve Love Before and P.S. I Still Love You – might be just what you’re looking for. They’re both light and fun high school love stories that build off of each other, so if you’re seeking more after the first book, there’s a continuation for you! With this little series, Han takes the classic idea of writing love letters to extremes when a girl’s collection of them is accidentally mailed away to each respective boy she’s written about. It’s a unique way to get a love story going and is executed seamlessly. Jenny Han has also written a summer contemporary romance trilogy called The Summer I Turned Pretty that you’ll love just as much as her duology.